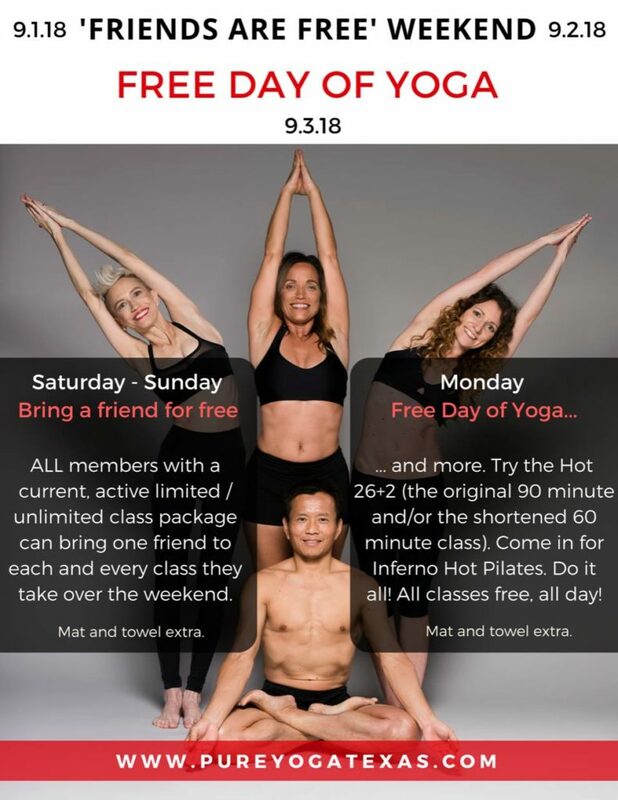 Celebrate Free Day of Yoga – Free Classes! Friends are FREE Weekend! All PURE Yoga Texas locations. Saturday (9/1) and Sunday (9/2) – All members with a current active limited/ unlimited class package can bring one friend for free to each and every class they attend over the weekend. All classes, all day free for everyone. Come try Hot 26+2 , Inferno Hot Pilates, HIIT Fusion, try it all! Bring mat, towel, water. Mat and towels are available for rental.